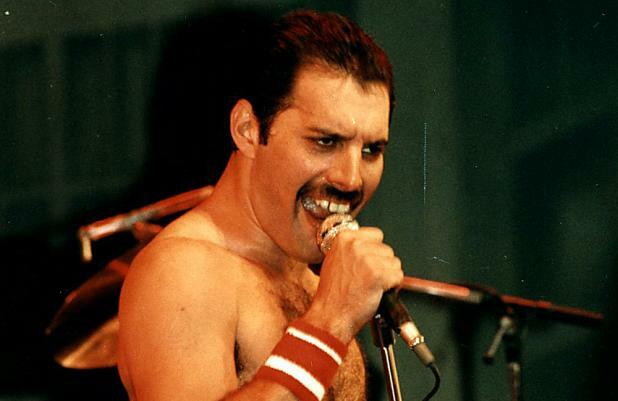 Queen's 'Don't Stop Me Now' has been named the top workout tune. The legendary British band's 70's chart topper took the top spot in a poll by Tesco Phone Shop to celebrate the launch of the new iT7 wireless headphones. 'Don't Stop Me Now' got 15 per cent of votes, closely followed by Survivor's 'Eye of the Tiger' on 14 per cent and Tina Turner's 'The Best' with eight per cent. Other tunes making the top 10 included the Scissor Sister's 'I Don't Feel Like Dancing', Eric Prydz's 'Call On Me' and Lady Gaga's 'Born this Way'. The Olympics has inspiring many British people to exercise, and they rated pop music as their favourite type of music to work out to, with 29 per cent saying choosing it for their exercise, followed by dance music and rock. Queen also took the honour for best artist when it comes to motivation at the gym, followed by Madonna and Lady Gaga. Overall 57 per cent of fitness enthusiasts said music significantly helped with their performance when exercising. Ian Taylor, former Aston Villa footballer and designer of the iT7 range, adds: "This research backs up exactly how I used music when training. It definitely helped my stamina, improved my concentration and boosted my performance. With this in mind, I've designed the iT7s sport in-ear headphones especially for use while working out, training and getting fit." The iT7x headphones are available at Tesco Phone Shop Tesco.com/phoneshop in the UK.